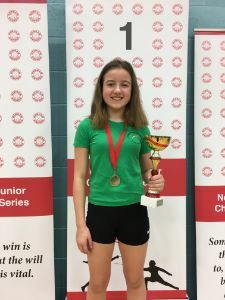 Many congratulations to Maddi Beard (LS1) who has won the second event in the Newham Swords Junior Challenge Series on Sunday 2nd February. The competition was tough and the final was close, after leading for most of the match Maddi was leading 9:8 going into the final minute of the match. However, Maddi managed to get one last point to win 10:8. There is now a break in the competition until Mid March.